In this video tutorial, we’ll look at how to live stream with pre-recorded video as a part of your broadcast. We are going to cover using a video as a source in Wirecast, Xsplit and vMix. OBS will be covered in a future tutorial, that also covers the installing the plugin necessary. Pre-recorded Videos can be a great way to add a multimedia to your live video streaming broadcast. Uses for videos in your broadcast are introduction videos, your own ad-reels, and highlight videos. To add a video as a source, go to the “+” icon and click on the “File” symbol (not the Camera symbol). Select “Add Video Shot” and select the video file you want to add. By Default, a video in Wirecast will play as soon as go live, and will remember your position if you switch to a different source. The video will also continue playing until it finishes. To change these settings, right click the Video Shot and click “Edit Shot”. In the new window that opens, click “Configure Media Settings” on the far end (Speaker Icon). 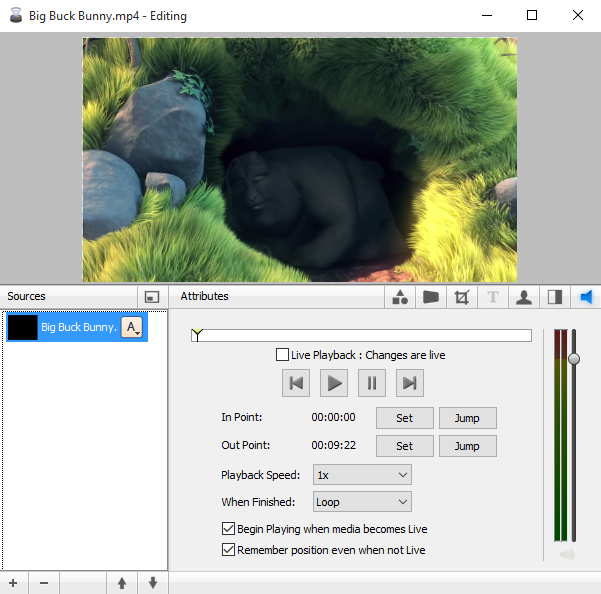 Wirecast’s video source settings allows you to make changes live, such as playing and pausing the video. In this menu you can also set a video to loop, or select a specific part of the video to play. To add a video source in Xsplit, click “Add Source” or “Add” under Scenes, and select “Media File”. Then choose the video file you want to add. In Xsplit, you can easily drag and resize sources to your desired location and size. Right click on the video source under Scenes, or on the video in the preview area, to open video options. This will allow you to play/pause the video, and to move forwards/backwards in the timeline. You can also set a selection of the video to play, whether the video loops or freezes at the end of playback. 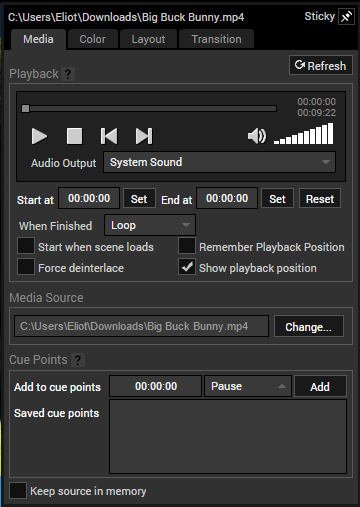 By default, a video in Xsplit will play when the scene loads, and will remember your playback position. This can be changed in the video options. 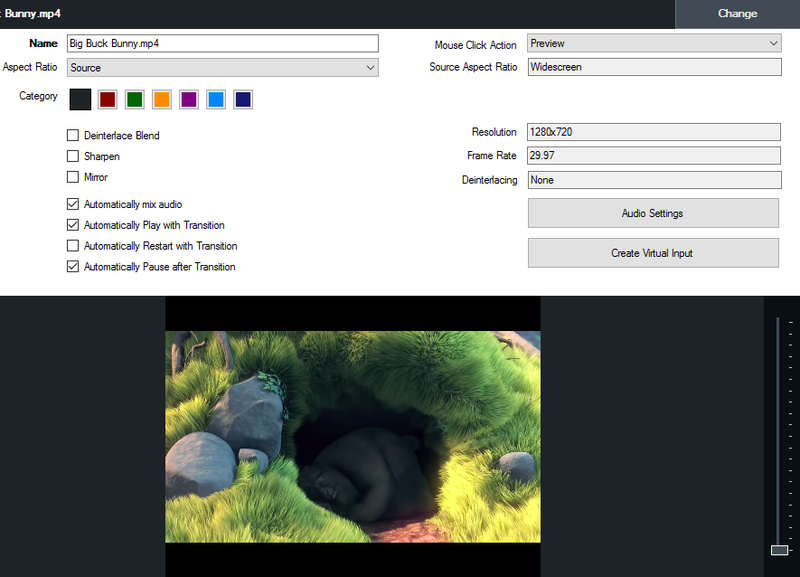 To add a video as a source in vMix, click “Add Input” in the bottom left corner and then “Video”. Select the video you want to use. By default, the video will be ready in the live area, but will not begin playing until you click the Play button below. However, if you switch from the preview to the live area, the video will automatically begin playing. vMix will also remember the position of the video by default. To change these settings, got to the video source in the bottom left, and click on the ‘Cogs’ icon to open up the settings. In this menu you can stop a video from playing as soon as it goes live, and you can also tell vMix to not remember your position in the video. A feature exclusive to vMix, is that you can switch out the video from the live broadcast and have it continue to play. You can even move forward and backward in the playback, and go live again, continuing from your new position in the video. If you have any questions, or suggestions for future tutorials, feel free to leave them in the comments below!